As Morpheus explained to Neo “The body cannot live without the mind”. He could just as easily have said that “The PC is nothing without the monitor”. And he would have been right to say it! Indeed, the monitor is the PC’s most essential component (for portable gaming computers or for any other type) and the one that allows you to experience different emotions whether by viewing family photos, watching a movie or playing a game. While, in general, LCD technology introduced improved visual comfort compared to CRT displays – the kind used in the 1990s – choosing a specific monitor is something which needs to be done wisely because the diversity of available displays is increasing all the time, something which can be a source of confusion for uninformed users. In fact, over the last three years, there have been many innovations. First of all, QHD displays which have a resolution four times superior to the base HD resolution (1280 x 720 pixels) – some 2560 x 1440 pixels – are becoming increasingly popular – at a moment when 4K resolution displays (3840 x 2160 pixels) are making their way into the market. What’s more, 21:9 format displays are beginning to be built by manufacturers; this ratio is complementary to the traditional 16:10 and 16:9 ratios. Lastly, many new technologies have recently been introduced (144 Hz, G-Sync, ULMB, etc. ), all of which aim to improve the fluidity and clarity of video animations. In summary, it is a good time to take stock of all of the available technologies which you are likely to encounter in the coming months if you plan on reading the technical datasheets of displays in order to replace your old faithful 22 inch model. To make things easier for you, we have chosen the best models for the three categories in which there has been the most innovation in the last few months: gaming, multimedia and – for those lucky enough to have a powerful computer setup – 4K resolution. In order to arrive at this selection, we took a merciless look at any possible weaknesses of all of the potentially interesting products we encountered. We based our selection on tests conducted in Tom’s Hardware, Expertreviews, Digitaltrends, Displaylag, Trustedreviews, etc. We also paid close attention the the various forums dedicated to the subject matter in order to detect any potential problems with ergonomics or reliability. Do you have the right display panel? A good quality monitor (which has obtained good results on the tests conducted by specialists) should not be discarded simply because it has a glossy display panel. It all depends on the place in which you will be using it. If you intend to use it on your desk and you have a window or a source of bright light behind you, you may be bothered by the light being reflected back to you by your display panel. However, if your display “has its back” towards any light sources, then you may not require a matte display panel. 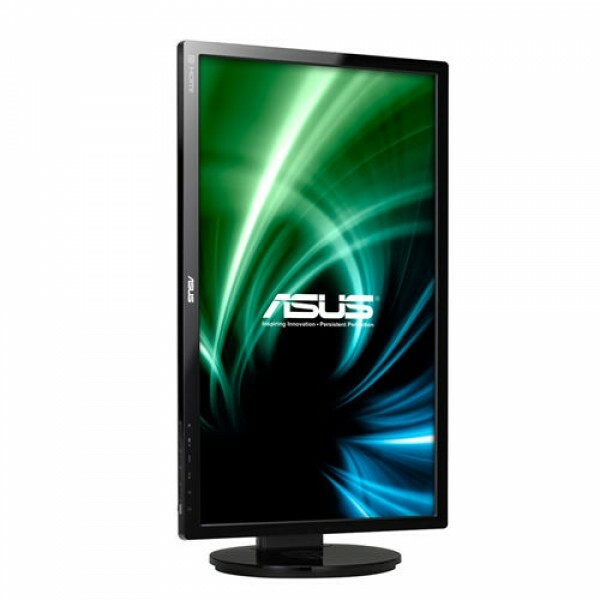 Glossy displays allow you to fully take advantage of very high resolutions since they do not blur the pixels’ sharpness. Semi-glossy display panels, of the type often used in TVs, seem to be an ideal compromise. Should you use a curved display panel or not? The question of whether or not to use a curved display panel is somewhat of a secondary nature, for two reasons: firstly, the curvature, however large is never really bothersome. Secondly, the curvature is not a problem since the brain tends to interpret the curved surface as a flat one – something which we noticed during our testing of the highly curved Samsung C27F591F display. On the other hand, the type of technology employed by an LCD display panel could potentially be of great importance – depending on its intended use. If you spend a lot of time gaming in a group, then the excellent response time and low input lag of TN (Twisted Nematic) display panels is your only real choice at the moment. Among other things, this technology offers a high level of luminosity. And, since TN technology can be easily mass produced, it is possible for consumers to purchase a truly capable display which is also affordable. TN technology does however suffer from some drawbacks: it does not offer excellent contrast ratios or provide very wide viewing angles – especially along the vertical axis. If you stand up facing a TN display and look down at an image from above, you will notice a significant decrease in light intensity the farther down you look. With IPS displays (In Plane Switching), the situation is reversed! Indeed, IPS is the technology which (most of the time) offers the best colors, the widest viewing angles and the nicest contrast. Its response time is slower than that of TN displays, but it is still sufficiently fast to game with. One last thing you should know about IPS displays is that some are equipped with a Samsung display panel, while others have an AHVA panel – the version made by AU Optronics. Last but not least are VA (Vertical Alignment) display panels, or one of their possible variants: MVA (Multi domain VA), A-MVA (Advanced MVA) – such as the excellent 32 inch Benq BL3200PT – and PVA (Patterned VA). This technology offers the best black levels as well as the best contrast ratios. The viewing angles are also quite wide, however the response time of VA displays is generally not very good – and therefore not recommended for demanding gamers. The only fast VA variants are the UV²A display panels. The only display equipped with this technology was the mythical Eizo Foris FG2421,“240 Hz”for gamers, which was unfortunately discontinued. As for OLED technology, it would be the perfect solution for a large number of users since it provides beautiful colors, perfect blacks, a response time fast enough to suit any purpose as well as the widest viewing angles. It’s a dream! But, this technology is only just now making its way into TVs, and somewhat reluctantly since its very high manufacturing costs have put off some of the large manufacturers (Samsung, Sony, Panasonic, etc.) who are not yet taking the risk of following LG into the OLED market. As a result, OLED is having trouble establishing itself among the best LCD / LED TVs. As for OLED computer displays, they do not presently exist and will start to make their way into the market next year, we hope. Who knows, it might be an altogether new technology – such as MEMS display panels (micro-electro-mechanical system) – which will stir things up by offering a display quality equivalent to that offered by any other technology while at the same time being super bright, offering exceptional color rendition and consuming less energy (six times less than an LCD display!). The underlying principle behind a MEMS display panel is rather simple: a backlight successively emits red, green and blue light while the MEMS (one per pixel) act like microscopic and ultra fast apertures allowing just the right amount of light to go through in order to create – by superimposition – the points of color (it is the brain that combines the primary colors together). There would be no more need for liquid crystals or for the subpixels which absorb a large portion of the emitted light. The resulting backlight could be less powerful and still offer the same level of luminosity as any other type of display. 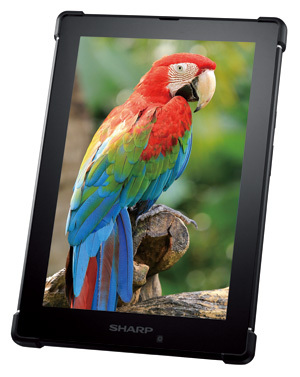 Sharp has developed a 7 tablet which uses this technology in conjunction with IGZO type components (Indium, Gallium, Zinc, Oxygen) which was supposed to make its commercial appearance in Japan in the first half of the year 2015. It seems that the technology is still not ready for mainstream applications. Will we see the first 22 or 24 inch displays using MEMS technology in 2017? We can only hope! Full HD definition (1920 x 1080 pixels) has become the standard resolution in the last few years, as much for computer monitors as for 16:9 format TVs. Most of the graphics cards sold for between 100 and 150 dollars are powerful enough to provide good refresh rates (between 60 and 100 images per second) in this display mode. This definition is what is found on most displays up to 24 inches in size. However, as our selection shows, more and more large monitors (27 inches) are capable of 2560 x 1440 pixel resolution (in a 16:9 format), also called “QHD” (four times HD definition – 1280 x 720 pixels). A large number of mid-level graphics cards are capable of handling this increased definition. Fortunately, these graphics cards are also able to provide decent refresh rates for larger 21:9 ratio (or Wide Full HD) displays which have 2560 x 1080 pixel resolution. With this unique, extra large format, it’s almost like having two displays side by side-by-side! But, it only appears this way since this resolution only provides 640 pixels more along the horizontal axis. It is however sufficient to display two applications at the same time – which is often very practical. Moreover, this height to width ratio is particularly well suited to watching most modern movies, which can be viewed without the black bands above and below the image that appear on 16:9 TVs and displays. The movie fills the whole screen without any image deformation. On the other hand, 16:9 ratio movies are shown in their totality along the vertical axis, but with black bars on the sides of the image. For even higher definitions, graphics cards require one or two very powerful GPUs. Let’s talk for a moment about 4K (3840 x 2160 pixels), the definition which has been so extensively written about in the last two years. The good old HDMI 1.4 is capable of handling 4K, but is limited to a refresh rate of 30 images per second. However, HDMI 2.0 allows for a 60 Hz refresh rate at 4K definition. This interface is just now being to be integrated into graphics cards and displays. DisplayPort is still a valid alternative to HDMI 2.0 since it is able to provide a 60 Hz refresh rate at 4K definition. With the latest generation of graphics cards, it is possible to use 4K definition with a refresh rate good enough to play video games. However, this kind of graphics card can be quite expensive. Refresh rates: how high will they keep going? Almost all monitors are designed to require a minimum refresh rate of 60 Hz, regardless of their size and definition. This is the “traditional”refresh rate for LCD displays. In 2009, the 120 Hz mode made its debut when 3D technology made its spectacular entrance into the marketplace thanks to Nvidia’s 3DVision technology. By the end of 2010, AMD had also entered the 3D market. While initially reserved for displaying 3D images, the 120 Hz mode also started to become exploited for 2D use in order to greatly improve the fluidity of graphic animations – to the absolute delight of gamers. 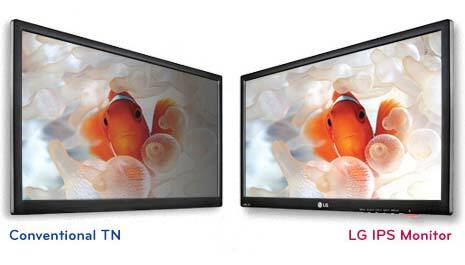 Nowadays, the most advanced display panels can operate at 144 Hz, 165 Hz or even 200 Hz! Do these increased rates really provide any better performance than the 120 Hz rate? The answer varies with the gamer being asked! For some, these higher rates are indispensable. 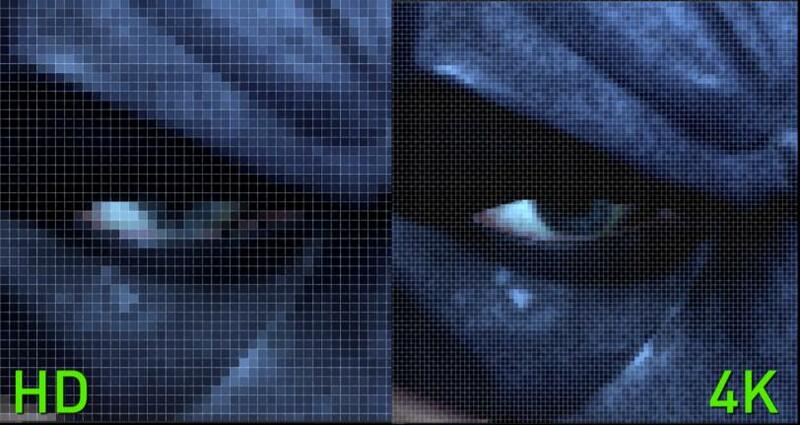 Others don’t see any difference with the 120 Hz mode. Our personal opinion is that the difference between 120 and 144 Hz should be almost imperceptible to the vast majority of gamers. One thing is for certain: the difference between 60 and 120 Hz is definitely noticeable! Is the race for ever higher refresh rates finished (already)? Or will there be monitors capable of operating at 280 or 300 Hz? Whatever the case may be, before investing in a 144 Hz monitor, it would be advisable that you make sure that your graphics card will be able to keep up with it without needing to lower the detail level of your games (that would be awful!). You will also need a CPU that can keep up with this kind of refresh rate so as not to restrict your graphics card’s performance! A super powerful computer is a must! The latest innovation in the field of display refresh rates is none other than variable rates. Thanks to this technology – initially created by Nvidia and named G-sync – it is no longer the graphics card which must synchronize itself with the display (which is the case when the V-sync option is activated), but rather it is the display that adapts itself to the number of images per second being supplied by the graphics card – as a function of the complexity of the scene being displayed. 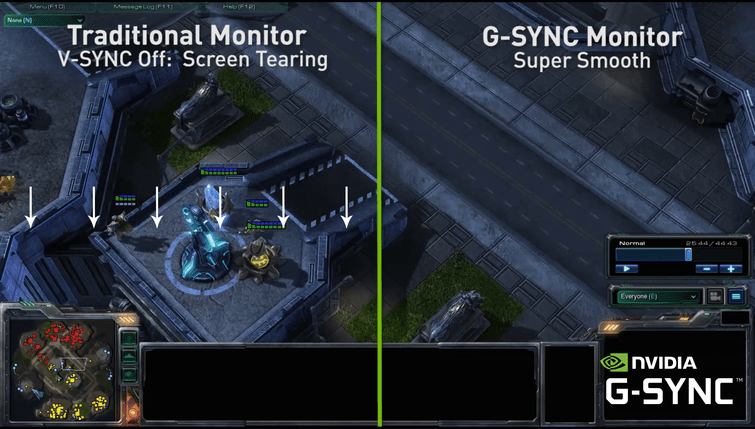 G-Sync only works with Nvidia (GeForce GTX 650 Ti Boost or higher) graphics cards, up to 144 Hz and exclusively through a DisplayPort connection. The goal of this technology is two-fold. First of all, it aims to eliminate image tearing effects which often appear when the V-sync option is not enabled in games. Secondly, it attempts to put an end to the input lag which occurs when this same vertical synchronization is enabled. Moreover, in this scenario (V-sync activated), micro lags can also occur if the graphics card is unable to deliver a constant 60, 120 or 144 images per second. With G-sync on the other had, whatever the performance characteristics of your graphics card, the image being displayed will always be optimal. Many testimonials attest to the improved performance – especially at refresh rates between 40-45 Hz where images are displayed in a much more fluid manner! AMD, for its part, introduced its FreeSync technology following Nvidia’s G-Sync. Nowadays FreeSync is available on a large number of displays. This technology is also proprietary and as a result only works with AMD graphics cards. It is a more open technology (VESA Adaptive Sync standard), offers the same advantages as G-Sync and can be used with more inexpensive displays. While the increase in refresh rates allowed for more fluid animations, the problem of motion blur for fast, horizontally moving objects remained unsolved and was becoming intolerable to gamers. As a result, manufacturers began developing “motion blur reduction” technologies. These are named ULMB in the case of Nvidia (LightBoost for 3D), Turbo 240 for Eizo and Blur Reduction for Benq. Once activated, all of these technologies work in the same way: insert a black screen in between every two images sent to it by the graphics card by rapidly turning the backlight on and off (like a stroboscope). All gamers are unanimous: the results are spectacular! 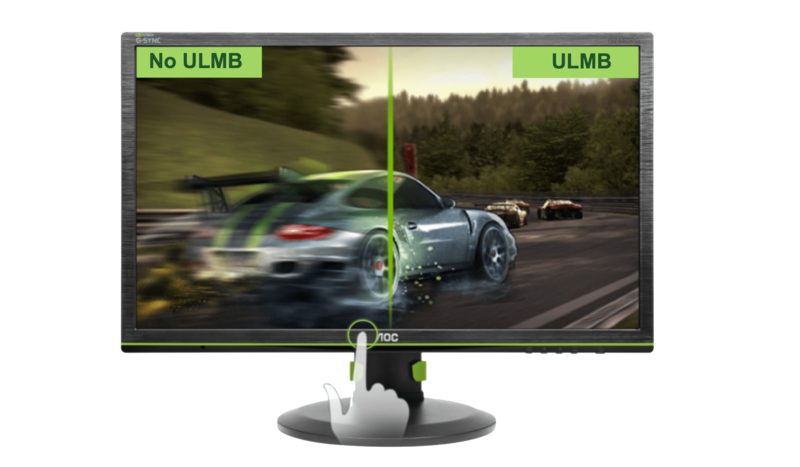 Many gamers even prefer the ULMB mode to G-Sync (those with a very powerful hardware configuration most likely!). Notice however that while the blur reduction technology works at 120 Hz for Nvidia and Eizo, Benq’s technology works at either 100 or 144 Hz. This blur reduction technology does have one downside. It causes a more or less significant decrease in luminosity. For example, if this feature is set to maximum for the Asus Rog Swift PG278Q, its luminosity decreases by around 50%! What’s more, some sensitive users report seeing flashes which have been known to cause eye strain and headaches. Of course, if we only go by the datasheets on the manufacturer’s websites or by the sales information on commercial sites, all displays are wonderful and have the same performance characteristics: 300 cd/m2 luminosity, 1000:1 contrast ratio, 170 degree viewing angles and a 1 ms response time, etc. In the reality of a test laboratory, this is absolutely not the case! Ascertaining this fact requires some equipment and especially a little bit of common sense. For example, it only takes a few seconds of looking at a mediocre display from an angle to notice a more or less clear-cut degradation of the display quality. What needs to be done is to precisely measure this phenomenon in order to be able to classify the displays from worst to best. 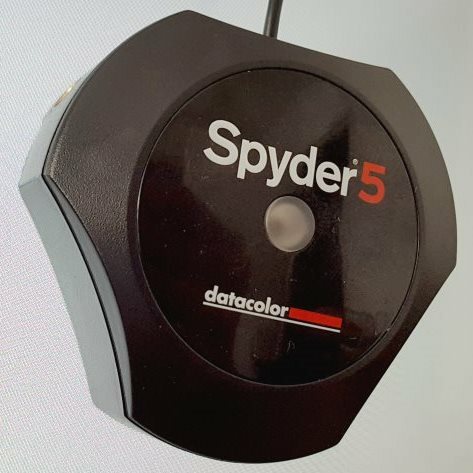 Most of the time, these measurements are done in two separate steps: first, without making any sort of changes to the settings and then by modifying the OSD parameters and calibrating the display with a sensor (such as the Spyder5Elite by DataColor). 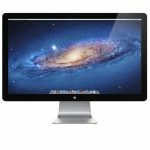 The different benchmarks conducted aim to establish, in particular, the contrast and luminosity levels of the LCD display panel – which are what determine its capacity for displaying dark blacks and bright whites. Also evaluated is the fidelity of the display’s colors/grays in order to verify the display’s ability to project colors which correspond to those being provided to it by the video source. This is of particular importance (for purists) for watching movies, photo editing, etc. For games however, it is not really a problem if the display’s colors are a little bit too “showy”. Display homogeneity tests are conducted in order to detect eventual problems with the display’s backlighting defects and in particular light leaks in the corners of the display. This phenomenon can disturb (brighten) the display of dark scenes in a movie or video game. 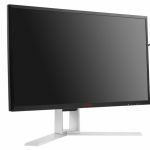 Problems of this sort were detected for example on the IPS 34 inch, 21:9 ratio display panels used for the AOC u3477PQU and LG 34UM95 monitors. Since the response time advertised by manufacturers is always so low, it is necessary to determine the real value through a series of tests. As a reminder, these tests aim to determine the speed of the liquid crystals. If it is too slow, an effect called ghosting occurs for fast moving objects. For 120 and 144 Hz display panels, a response time of less than 10 ms is required. In order to artificially accelerate the reaction time of the liquid crystals, manufactures sometimes offer the possibility of activating a feature called overdrive. Be careful with this however, since if it is poorly adjusted or set too high, another detrimental phenomenon might appear – reverse ghosting. The trick is to find settings which reduce both phenomena to their minimum. Lastly, gamers need to pay attention to the input lag of the display they intend to purchase. Input lag is the delay between the moment when the display receives an image and the moment when the image is displayed. An input lag of less than 10-15 ms is perfect for those trigger happy pro gamers who have lightning fast reflexes and don’t want to miss any opportunity to headshot their opponents. Between 15 and 30 ms is still good enough for most gamers (even for FPS games). A display with an input lag of more than 30 ms should only be used by occasional gamers or those who play other sorts of games such as World of Tank, Heathstone, DiRT, etc. One thing that the datasheets make clear is that the VGA port is on its way to extinction. The DVI interface on the other hand seems to be harder to do away with! This is probably because, just like DisplayPort, it is able to operate in Full HD at 144 Hz. 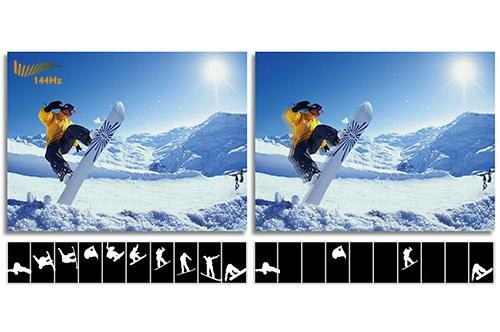 However, larger displays which use the QHD mode (2560 x 1440 pixels), are limited to 60 Hz with this type of interface. At the moment, most displays – such as those we have selected – are equipped with a DVI-D DL (Digital Dual Link) input – the most advanced DVI input. The HDMI interface (the 1.4 version) is capable of achieving a 120 Hz maximum refresh rate at Full HD definition, 60 Hz at 2560 x 1600 resolution and only 30 Hz at 4K definition. This last problem has been solved ever since the introduction of HDMI 2.0, which is capable of operating at 60 Hz at 4K definition. Some HDMI connectors are MHL (Mobile High-Definition Link) compatible and allow their users to connect a smartphone to the display by using a micro USB – HDMI cable. For the more extreme graphics modes such as 3440 x 1440 pixel resolution or 4K definition (3840 x 2160 pixels), use of the DisplayPort 1.2 or HDMI 2.0 interface is required since they offer a higher data throughput. In this way it is possible to go to 120 Hz at 2560 x 1440 resolution, and even to 100 Hz at 3440 x 1440 resolution. Certain displays, such as the Asus Rog Swift or the Acer XB280HK only have this DisplayPort interface, which is a shame since it makes it more difficult to connect them to several devices at once. If the devices in question do not have a DisplayPort connection, all is not lost since there are HDMI to DisplayPort adapters which would allow you to connect a game console for instance. It’s true that these adapters are rather expensive, but it’s better than not being able to do it at all! Another wide-spread interface present on displays is USB. These USB hubs are very practical if your computer is not well endowed with USB connections. These connectors usually number 2 or 4 and, as it is to be expected, USB 3.0 connectors are currently replacing the older USB 2.0 versions. Another nice feature is the introduction of yellow USB (quick charge) ports which still provide power after the display has been turned off. These ports are especially useful for charging your smartphone or tablet. Most monitor are also equipped with an audio-in connector (3.5 mm jack) as well as a headphone jack. However, when hearing reports about the performance of these connectors, it is hard not to wonder why the manufactures even bothered to included this type of connection. It seems that no matter how much effort is made in this domain, the truth of the matter remains that there is simply not enough room for the integration of sufficiently good quality audio equipment to provide rich and powerful sound with pronounced bass. Even the smallest external speakers are sure to deliver better performance. In the category of rare features, it is worth mentioning the presence on some displays – such as the LG 34UM95 – of Thunderbolt connectors. This type of connector is indispensable for working with a Mac Book or a Mac Pro – if you are not afraid of upsetting Apple by connecting one of their heavenly machines to a vulgar third party display. Last but not least, some models – such as BenQ’s BL3200PT – even incorporate an SD memory card reader. For optimal viewing, it is always necessary to position your display directly in front of your eyes, with minimum horizontal and vertical viewing angles. To allow for this type of adjustment, displays have a base which is able to pivot along the X and Y axes. Oftentimes, the height of an LCD display panel can also be adjusted – adapting itself to taller or shorter users. It is also becoming increasingly common for the display to be able to rotate along the Z axis in order to switch it into portrait mode. Portrait mode can be practical when consulting certain websites or when working on very large documents – Excel spreadsheets for example. Other details can also determine how good or bad a display’s ergonomics are, starting with the positioning of its various connectors. For example, rear-facing USB connectors placed next to the video input connectors are highly impractical, especially if you intend to connect and disconnect your devices on a regular basis. A good positioning of USB connectors can be found on the Acer B296CL for instance, where two connectors at the back can be used for rarely disconnected devices while two others on the display’s side can be used much more easily. 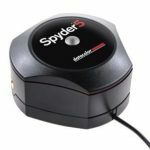 In the same way, the position of the OSD adjustment buttons determines how easy it is to modify the device’s display parameters. These controls are often positioned behind the display, making it necessary to manipulate them blindly which (at the beginning at least) results in choosing the wrong settings and wasting much of your time. 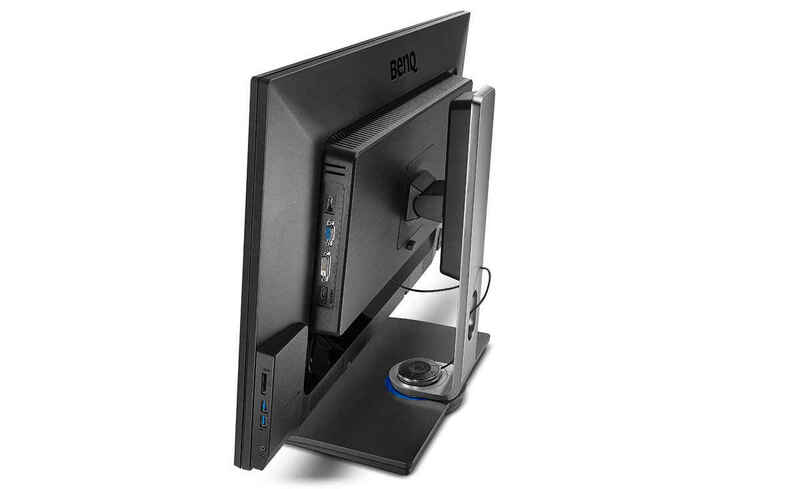 The ideal solution is once again one developed by BenQ: a software application for Windows which allows all of the display’s adjustments to be changed with a click of the mouse. It is always nice to see that the manufacturer has gone the extra mile to provide their users with a totally satisfactory design. Cable pass-through on the display’s base, headphone stand, display refresh rate control box, ambient light sensor (to modulate the displays luminosity in order to reduce eye strain) are all nice little additions which may tilt the balance in a display’s favor.